W. Mackenzie, P. Bucknell & I. Wilson. “Following be accept as members Bro. A. Pettett, Bro. P. Sparkes & Bro. J. Herriott. Proposed M. Hawkins & seconded P.
Edwards. “That these members applications be accepted.” Vote unam. management, and reports made at a later date. Bro. M. Hawkins gave a brief report, he stated how little change seems to be happening over the P.N. Point at Ardingly. Members were still not wearing H.V. jackets whilst in L.W.S. and other places. members stand in request of S.P.A.D.S etc. Proposed M. Hawkins & P. Edwards. “That the branch secretary be instructed to post a letter of this issue.” Vote unam. 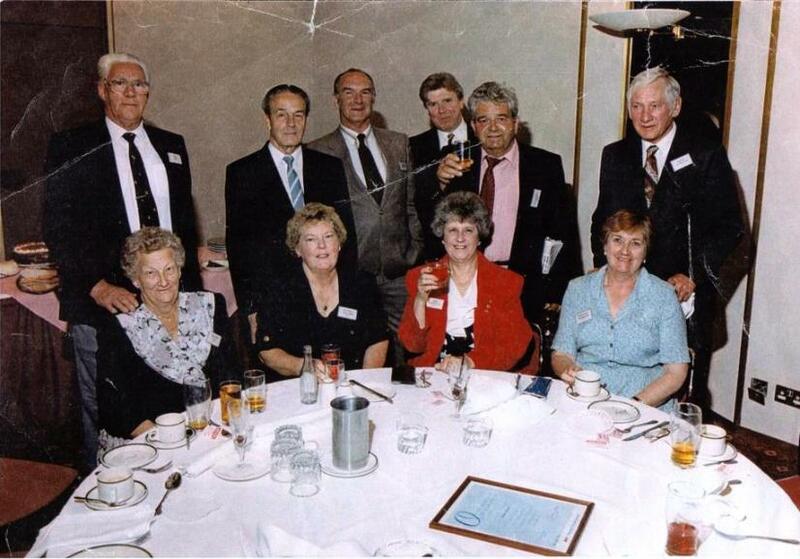 ARRANGED BY THE BRIGHTON BRANCH OF THE A.S.L.E.& F.
The meeting was opened by the Chairman Bro. W. Mackenzie who then requested the opportunity of addressing the meeting. concentrate on the D.R.I., yet letting other issues be forgotten. Machinery, these deals are being implemented by managers, who give special allowances to Minder Drivers. Crew Agreement, and not to any management arranged deals which are outside the agreement. interim Machinery before a full machinery later. approach and resist the attempts to introduce this proposed Machinery. Under the new set up councils would be as follows. Management Side 8 Reps - Staff Side 8 Reps.
Management Side 2 Reps - Staff Side 2 Reps. The other two Council level have to be decided on. Again it is clear that without a proper system of grievance, management would undermine Trade Union Representatives. proposals, withdrawn from the Machinery at any stage and introduce their own. the Machinery talks, and yet clearly the Machinery was of a greater importance. Proposed J. Osborne Brighton Branch & seconded S. Fuller Eastbourne/Seaford Branch. membership be brought fully up to date on the negotiation talks.” Voted Unam. The Branch Secretary then called for a vote of thanks to Bro. Allen’s full and frank meeting and to our Chairman Bro. W.
F. Langridge, P. Bucknell & M. Thompson. Work still to be progressed in Brighton Messroom i.e. Kitchen area, installing blue light fly killer. L.W.S., matters regarding Depot Protection were raised, Chichester Yard, now accepted for walkways. Train Crews still not wearing H.V. Vests when in L.W.S. and other locations. Members informed of the problems within the London Area regarding Train Crew Rosters and management. the proposed changes to the Machinery of Negotiation. After members were given his views on the M.O.N., questions were raised and answered. Our Chairman then called for a voted of thanks to Bro. Tony Allen. Foilage again remained the main problem, L.W.S. sidings and associate sidings requiring major improvements. List of P.N.B. Points which have failed to meet required standards now posted. Concern over H&S and Branch Officials being advised of incidents to staff and on the level of support. Letters posted by management over working Sundays was withdrawn and matters explained. Safety Training Courses still not up to the required levels proposed. Comp. leave, proposed by Management to “Buy Out” leave, this matter is to be raised at the next agenda meeting. of our position to any such proposal. E. C. were allowed to progress matters on the M.O.N. talks and report back. D.R.I. a possible new offer was expected, conference voted to continue talks. R. Matthews & M. Thompson. Nomination for Profit Centre Council, proposed P. Edwards & seconded M. Hawkins. “That this branch nominated Bro. G. Morris of London Bridge Branch for Profit Centre Council.” Voted unam. course of their duties.” Voted all in favour. Foilage between Lewes and Falmer is due to be cut back, 8th September. 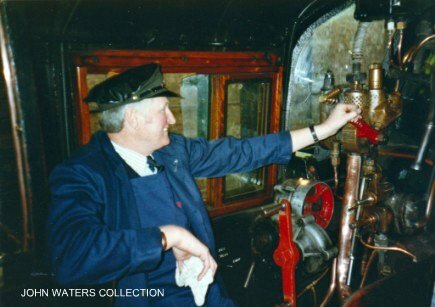 Trainman Diagrams, loss of light engine manning duties. Following L.D.C. report the following resolution was passed. movements.” Voted all in favour. The following nominations were received for L.D.C. Reps.
Bro. M. Hawkins, proposed R. Matthews & seconded T. Fielding. Bro. J. Osborne. proposed C. Newton & seconded M. Hunter. Bro. W. Mackenzie, proposed M. Thompson & seconded P. Edwards. Bro. P. Edwards, proposed M. Hunter & seconded R. Matthews. seconded J. Osborne. Carried unam. Letter from Bro. P. Edwards, withdrawal from the L.D.C. elections. Letter from Bro. W. Eames (London Bridge), election of Profit Centre Representation Network Southeast South Central. 1993 A.A.D. Nomination of Representative. Proposed M. Hawkins & seconded I. Osborne. “That Bro. 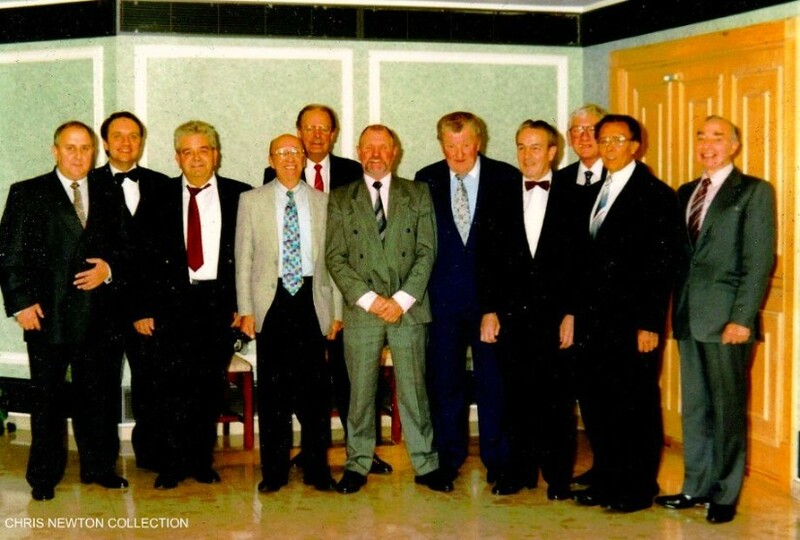 W. Mackenzie be nominated for 1993 A.A.D.” Carried unam. Nomination of Profit Centre Representative Network South East South Central. Due to the withdrawal of Bro. P. Edwards from the L.D.C. elections, the three present members of the L.D.C. will still stand. Removal foliage at Falmer, no hotplates in the mess room at Brighton. Route learning between Chichester and Havant, management proposal of one day being totally inadequate. Christmas train service, the L.D.C. will not be producing a order to work. W. Jones, R. Matthews, M. Thompson, B. Brown, M. Hunter & A. Flowers. with the T.U.C., also D.R.I. talks. Chairman read out this and after debating the issue, requested an adjournment until District Council report. Foilage between Lewes – Falmer – Brighton stil creating problems with slipping/braking. Gatwick Airport P.N. Point – state of room. Kitchen area Brighton Messroom, water leaks & hob units. Walking Routes to L.W.S., and report better route proposed. Incident involving Bro. R. Constable at Wokingham, two train in section together. Position of Christmas (period) working, our stance is that we will not be involved in the proposed service. Proposed issue of a licence to drivers, pension proposed scheme to protect members pensions. From pit closure plans expected that up to 2,000 railway jobs to go. proposed. Proposed W. Jones & seconded T. Fielding. * The main point of concern amongst the delegates was regarding the recent A.S.L.E.F. 's circular No. 327.
referred to as Company Council) which were to replaced the old Sectional Council. supporting the A.S.L.E.F. 's District Council No. 1 resolution (Brighton Branch Resolution No.12/92). 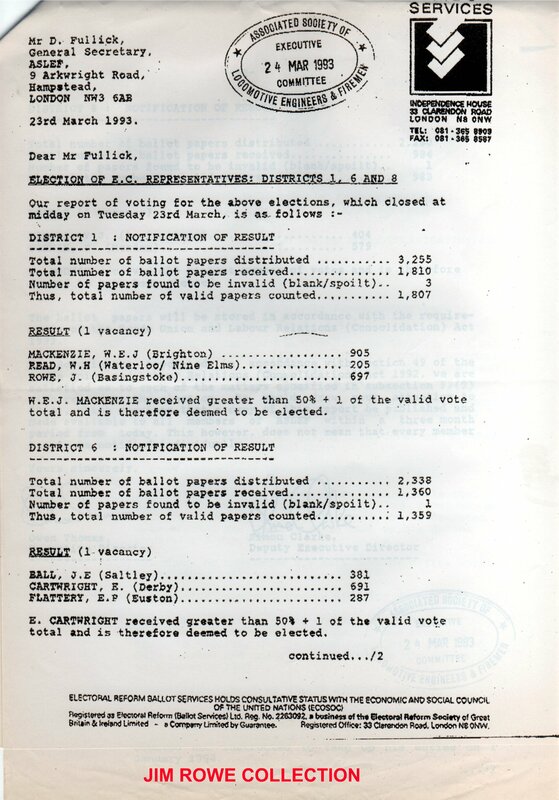 Circular 400/1992 E. C. Election District No.1. That the circular be noted and that the following nomination be agreed, and forwarded. Nomination “That this branch wishes to nominate Bro. W. Mackenzie of Brighton.” Proposed M. Hawkins & seconded J. A. Flowers, M. Freeman, S. Hole, W. Jones & M. Hunter. Guest Speaker R.M.T. G. Hewitt. form a branch, this, the members agreed with the following rider. Meeting agreed that Bro. W. Mackenzie should now chair the opening of this meeting. All current circulars were read out, the following proposal was called for Ref No.83/1993 re Appeals Committee nomination. Proposed M. Hawkins & seconded J. Osborne. Proposed M. Hawkins & seconded G. Tew. “That Bro. P. Edwards be elected to the casual vacancy of the L.D.C. from 4th May 1993. Assistant Sec. Bro. I. Osborne. Committee Bros. M. Hunter, F. Langridge, W. Jones, B. Brown, R. Lewis, W. Mackenzie, M. Thompson, M. Freeman, A. All other links remain the same number; the plus is that Link No.2 will now learn Southampton. New computer system after continuing min system still does not produced a new roster. Questions on Functional Council’s roll in diagram scrutiny of L.D.C’s roll. no P.T. & R.A. outside their own franchise, and have dedicate links, we must all fight for just rights. in today and gave full and frank talk. election success as E.C. and resigned as Branch Chairman, Secretary called for a vote of thanks. Brighton Branch held its first meeting this year in April at the request of our District Secretary Len Warboys. December a motion was passed not to elect any Branch Officers and not to hold any Branch meetings. meeting by calling for members to withdraw the motion. reject any change to the election of Functional Council members. proposed franchised of these separate companies’ P.T.&R. Pensions were also addressed. know, as been elected as the E.C. member for our District and we wished to say that we wished him well in his new post. fight for the members of A.S.L.E.F. and see that justice is done and the rights of members maintained. L.W.S. were bad an urgent meeting and being requested. 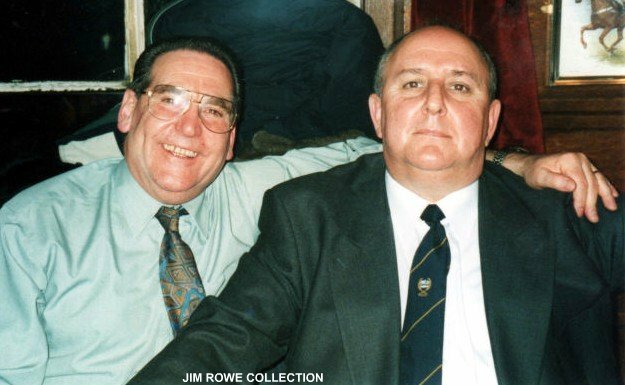 with Jim Rowe (left) A.S.L.E.F. 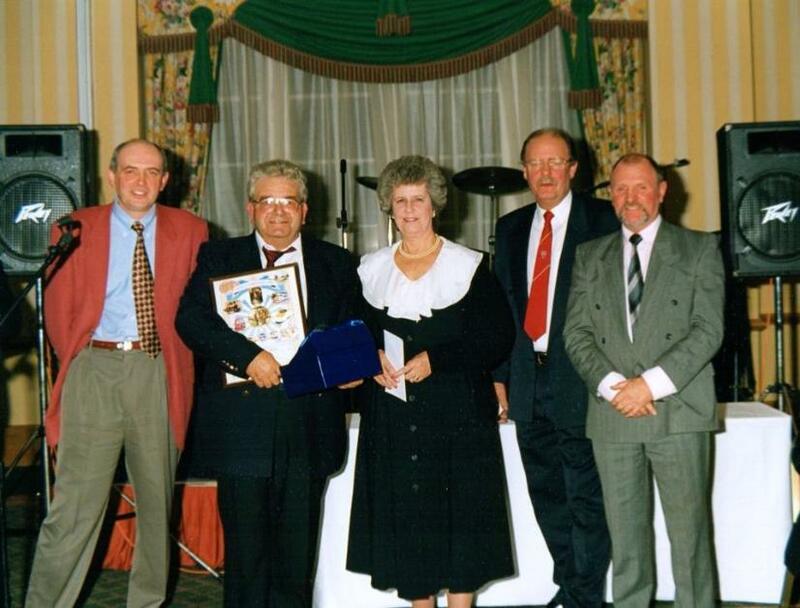 Southern Region Sectional Council "B" (Basingstoke Branch). for District No.1 and later elected by his fellow E.C. members to the position of E.C. Presedent. M. Hunter, M. Freeman & E.C Member W. Mackenzie. that the E.C. member could speak to the branch. Ref Circular No. 161/1993, Election of District Secretary No.1. Proposed M. Hunter & seconded J. Osborne. 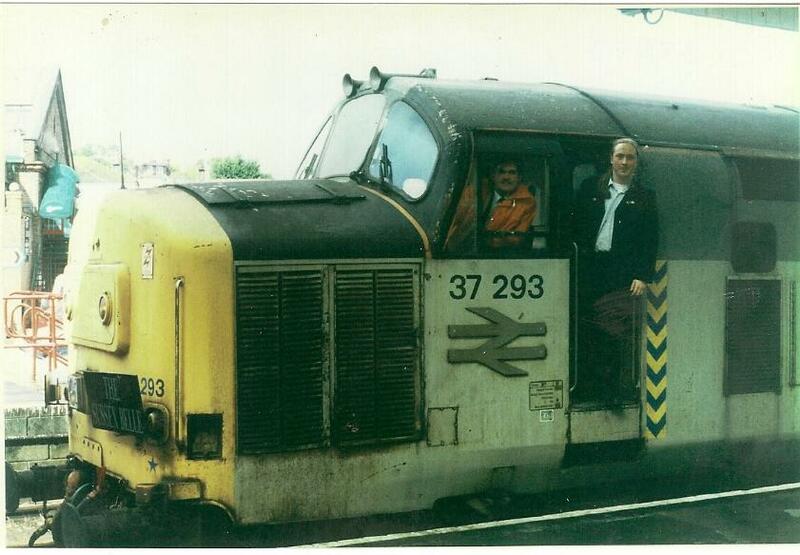 “That this branch nominates L. Warboys of Portsmouth Branch. “That this branch votes for Bro. 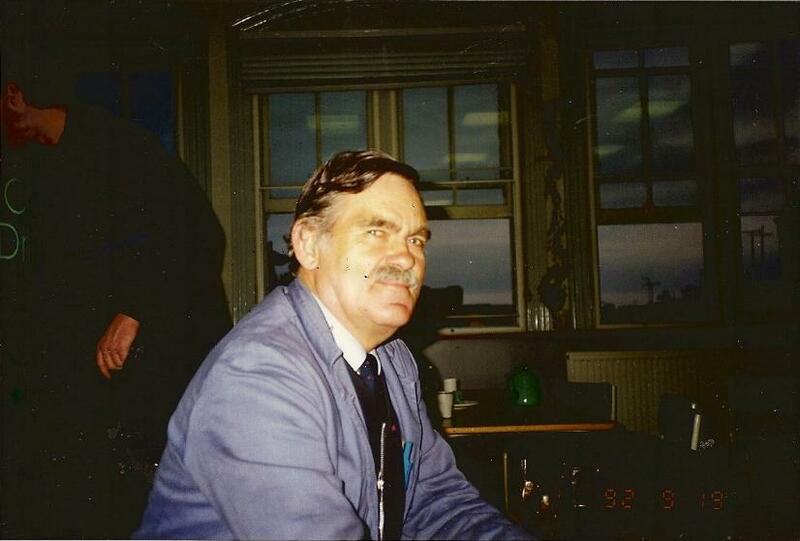 S. Fuller, Seaford Branch to be elected." Owing to the large number of members attending and the limited space, only the number is being recorded, 37 members. “That this branch has voted for Bro. R. Lxford of Three Bridges.” Proposed D. Knight & seconded P.Edwards. Subject matter raised in E.C. Member’s address. Again subject matter debated by our E.C. Member and D.F.C. Member. Contents of all circulars were noted and a request that as many members possible attend the rally/lobby in London. Following the reading of this and then debated, the following resolution was put to the members. Proposed I. Wilson & P. Osborne. Voted unam. The following new members were placed before this branch. Voted all in favour of these members being accepted as members. pay & revised Sunday Working Agreements. Concern over key operated level crossing, foliage within L.W.S. 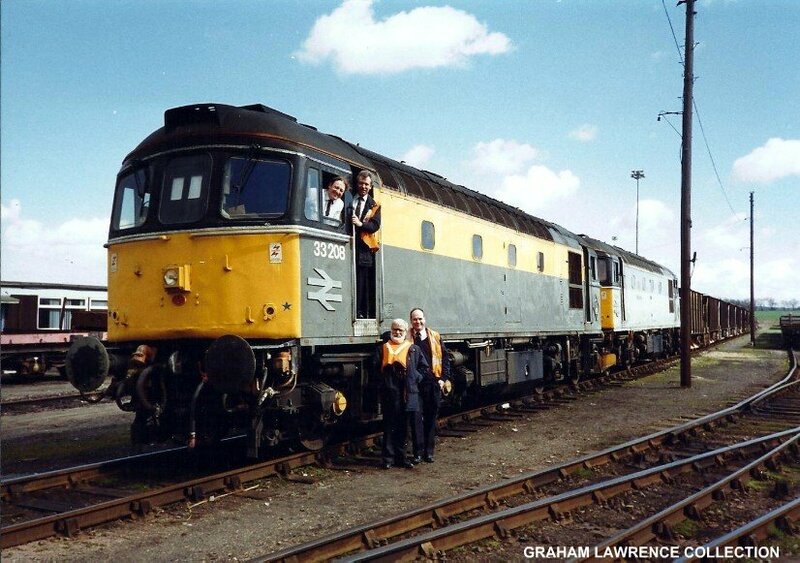 Depot anda possible ban on sidings. Our E.C. member was welcomed to our branch and gave a very detail account of our present position. Reported – the plans of how each business is in relation to depots (who does what). T.U.P.E. was mentioned and on how we would be unprotected if allowed to go. 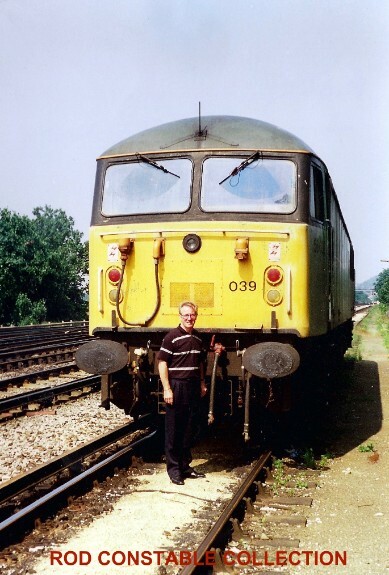 An indepth report on the Air/Rail Gatwick Service set up. D.F.C. function, and roll with Depot rosters, and link formation, and that of L.D.C. referred to the to the agreement for a detailed answer. confidence in the way the L.D.C. had carried out it’s roll. The following resolution was then put to the members. “That this branch has full confidence and support in the L.D.C. Brighton E.M.U.T. 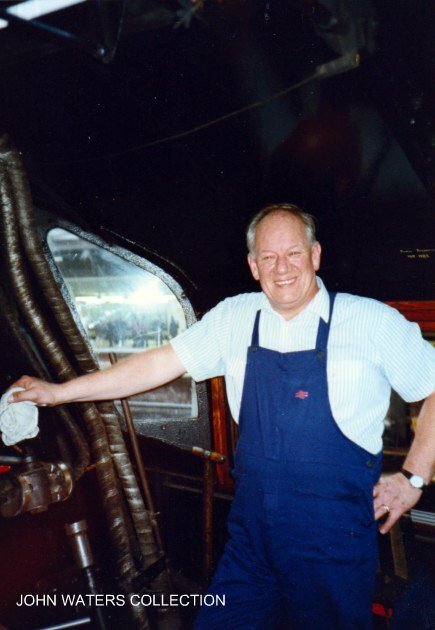 Laurie spent many years on the Brighton E.M.U.T. L.D.C. nobody should have to work if they felt the need not too. had a right to request leave. Again the matter of T.U.P.E. was asked and Bill explained what the effectof this being removed would be. News that three member were sacked for failing the new Drink/Drugs Policy, again members were urged to be careful. route station to L.W.S. Depot. rules etc. After debating the issue the Branch Secretary agreed to write to the D.F.C. and request they raised the matter. agenda as agreed. He then suspended the normal Branch business to allow our two representatives to address the meeting. working ban, rostered Sundays, depots’ futures under the Business Centres and the issue of drink and drugs. unfairly when they allocated work and earnings in their link and had approached the Train Crew Manager to ask the D.F.C. could become involved with the L.D.C. in the way they formed rosters. vote was taken and passed unanimously. 1994.Proposed M. Cole & seconded A. Chumley vote unam. applications be accepted and passed on to Head Office.” Vote unam. Removal of foliage L.W.S., most has now been done if only by the natural weather conditions. With the closure of Seaford Depot, all H&S issues will now be covered by Brighton Rep.
November “Bonfire Service” excellent reports from Management on Train Crews assistance. Route learning – Bedford, men now being given routes, also training expenses being dealt with by D.F.C. Issue of persons riding in rear cabs, matter now be addressed locally and D.F.C. level. Seaford Depot Closure, overall 5 duties will come to Brighton, depot’s establishment remains unchanged. London Area after six months of being in link, but the type of work to remain as now. Bro. Tony for filled an outstanding invite to address our Branch after a short illness. D.F.C. would be carrying out interviews with all drivers at Seaford on depot closure. D.F.C. have raised many issues on Driver Instructors and method agreed on training still remains as agreed. Changes in time allowed for drivers to change-over on route to take into account radios etc. 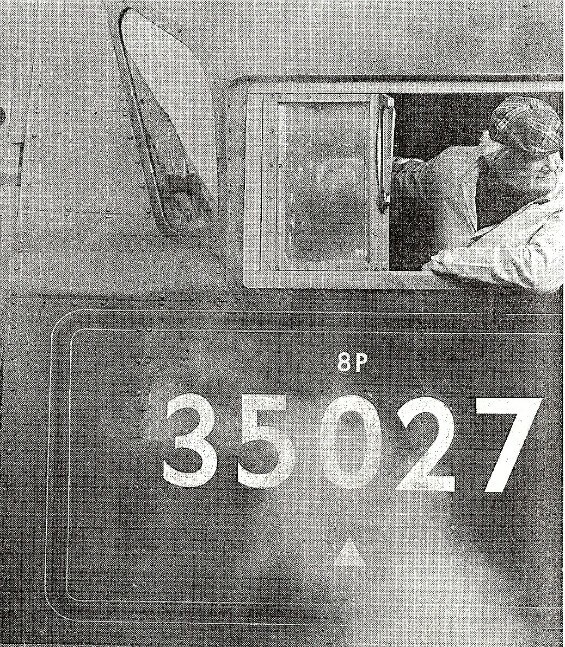 Working on the footplate of Bulleid’s West Country 34027 "TAW VALLEY"
Proposed J. Osborne & seconded R. Matthews. “That Bro. M. Allen of Seaford Branch be nominated as delegate to the conference.” Voted all in favour. proposed cleaning, proposed new link structure, outlined new services – Bournemouth. Bro. M. Hawkins give the following report. The renewal of stairway metal treads from station to booking on area,. Reporting of accident/incidents to H&S rep and also making copies of reports and statements. 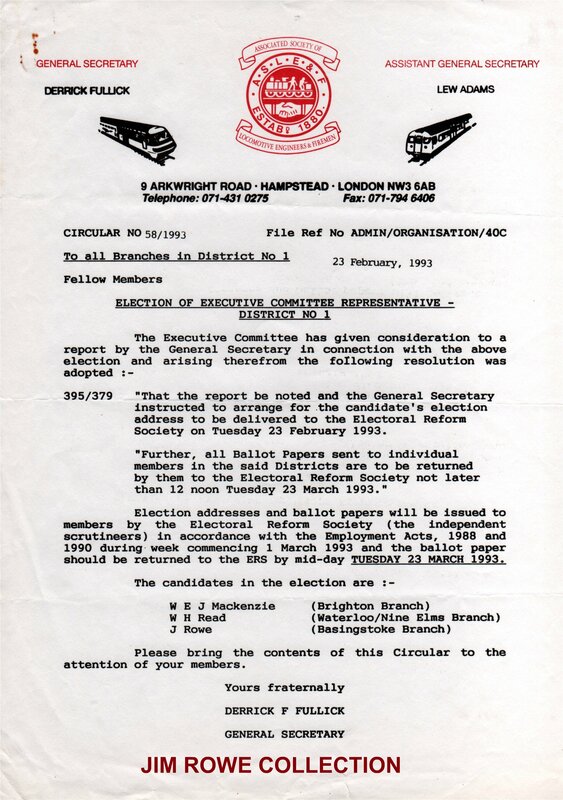 members and instructs the Branch Secretary to forward them to head office.” Voted all in favour. Rostered Sundays Workings, A.A.D. Rest Day working – ballot for rest days to be banned. The effects of the Transport Act 1992 on members and members rights under this act. Members present 14 members names recorded in new attendance book. Compensatory/Annual Leave, L.D.C. explained the position on how the issue arose and the position we are at, at the present. nothing, matter to beaddressed at another meeting with D.F.C.and Croydon Training Centre. the police involvement and the welfare dept. both issues would be taken up and look into by Branch Secretary and L.D.C. Members present17 members names recorded in new attendance book. authorisation tickets, annual and comp leave – list of outstanding leave and arrangements procedure on leave, revised link arrangements from March 21st . Secretary ask to write inviting Tony to a branch meeting. Members present13 members names recorded in new attendance book. accident/incident forms – members should remember to make copies of all report etc. Bournemouth route learning – L.D.C. request to confirm if routes via Eastleigh are to be learnt for emergencies. train and London Bridge duties work in lower links. Cab cleaning matter to be raised with depot manager. A.S.L.E.F. “Check Off” members advised of union campaign all members must reaffirm their union deduction mandates. Chairman expressed his pleasure in the attendance levels at Branch meetings. Arthur Brockman (Guildford), Ron Lifford (Battersea) and Billy Eames (London Bridge). as our candidate for D.F.C. Proposed P. Edwards & seconded I. Osborne, voted all in favour. Following the election for the position of I.T.F., representative, the members proposed that Bro. M.A. Allen be elected. Profit Centre nomination D.F.C – South Central T.O.U . With the disbanding of the old Southern Region Sectional Council ‘B’ into Company based councils. Above is the newly elected Staff side of the South Central, Drivers Functional Council (D.F.C.) in 1994. 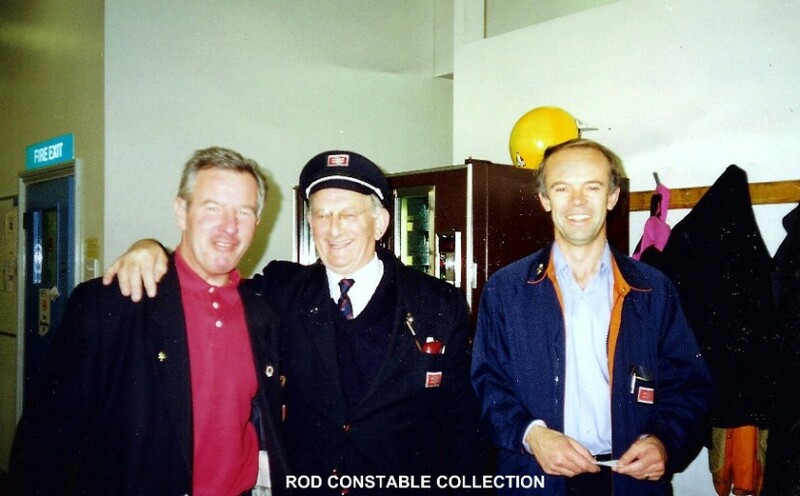 Lew Adams (GS), Len Worboys (DS No.1) & Bill MacKenzie (EC No.1). New rosters now agreed next Bank Holiday rotation in place. Brighton messroom still awaiting funding. Breath testing of train crews involved in incident other than S.P.A.D.’s etc. A question was put regarding men on average earning and route learning. L.D.C. Chairman spoke on the issue and put forward the L.D.C. ruling on route learning and link restrictions. Members also wished recorded their deep sadness over the death of Bro. W. Eames our D.F.C. Secretary and A.S.L.E.F. member one who will be greatly missed. E.C. member No.1 District W. Mackenzie & D.F.C. Secretary G. Morris. 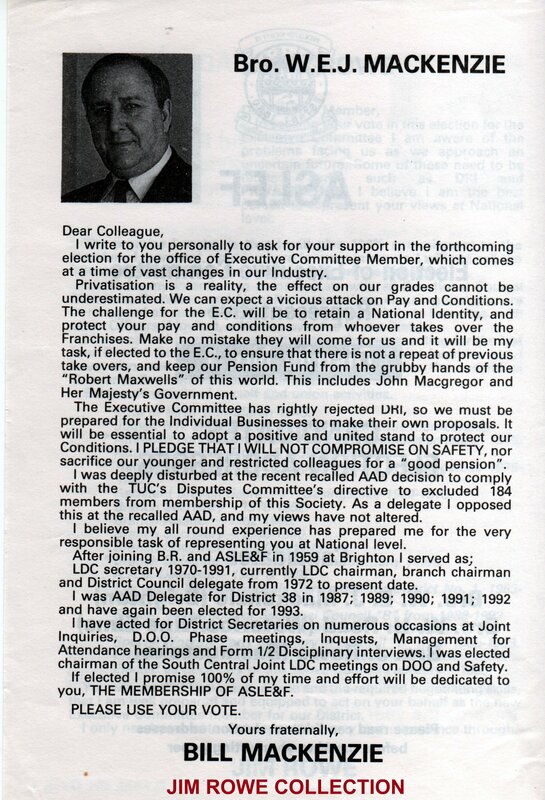 1994 pay ward, no more national pay wards, the revised 1992 negotiation agreement, D.F.C. elections arrangements, P.T.&R. the C.I.C.B. position, A.S.L.E.F and the Society restructuring for the future. cycle arrangements, new method proposed on bargaining etc by the division. Meeting recalled to order for the following business. Following the reading of the two candidates address the following proposal was called. “That this branch nominates Bro. R.
Luxford of Three Bridges for this position.” Proposed P. Horan & seconded S. Fuller. Party, and its campaign in fighting the election of M.P.” Voted unam. Members present11 members names recorded in new attendance book. A report on items raised at previous agenda meeting (May). revised walking route to L.W.S. from station via car park and Mont. Sidings. Tony Allen gave a report on the position of Privatisation/Franchise of B.R. 7th July 1994 – South Central T.O.U. A thanks to the branch on the recent election for D.F.C. Reps.
should the event be held at Brighton.” Proposed J. Osborne & seconded M.A. Allen. Carried Unam. Members present18 members names recorded in new attendance book. referred to in his address. 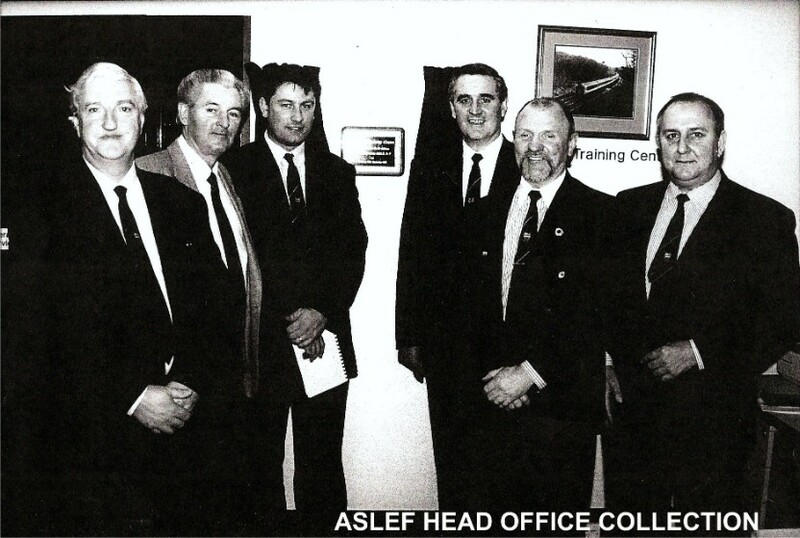 Bill spoke of the reduction in members the levels of running A.S.L.E.F. and the future of the Society. driver was tested at Preston Park for stopping to aid someone on the line. Present state of Brighton messroom, monitoring of Hidden 18, overtime worked time off between shifts etc. The various training in operation on South Central, outstanding comp leave arrangements. Class 319 unit and toilets not be cleaned etc., Class 319 & 421/3 cabs not being cleaned out more regular. October (Winter Rosters) diagrams and link alterations – now agreed. Heating renewed radiation valves in Brighton messroom, present position on decorating messroom, state of smoking room. Trial run on driver I.D. cards, Foilage within L.W.S. Depot and Sidings. our branch society, he will be missed by all. Winter rosters agreed and now operation, P.A. Training issue – still to take place, proposed Boxing Day service. B.T. Police request to run passenger trains. Hidden 18 monitoring of hours and days worked. Barnham building scheme, platform 1-2 White light crossing. Proposed I. Wilson & seconded T. Fielding. “That Bro. J. Osborne and Bro. P. Edwards are the two official A.S.L.E.F. nomination.” No other nominations put forward. Trustees J. Osborne & S. Hole. Auditors I Wilson & T. Fielding. District Council Delegate C. Newton. Members present 20 members names recorded in new attendance book. “Cowden Accident.” Proposed P. White & seconded P. Edwards. “That this branch donates £60. Voted unam. Letter from A.S.L.E.F. Head Office in reference to Bro. S. Toughey incident involving B.T. Police officers. Particular reference was made to circular No.4 “Single Lead Junctions” and the advice given by the General Secretary. accommodation update, issue of riding in cabs, issue of performance profiles, route norms – Local Level. None Smoking Policy in messroom and corridor at Brighton. L.W.S. 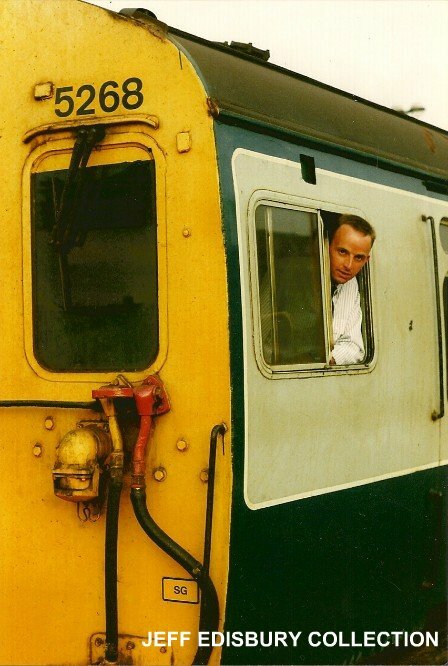 cleaning of toilets and tanking of trains. service two days after the crash without finding out the full facts of why it happened. Staff side Reps called a meeting with management and informed them on the actions staff side would operate under. An internal hearing on the incident has been conducted and a public in inquiring is due December 15th . of the scheme put great pressure on drivers should they not comply with the guidelines. low, medium and high. High resulting drivers being taken off all driving duties. At this point the Chairman called for an extension to meeting as time did not allow the report to continue. Proposed D.
Griffiths & seconded J. Osborne. Carried unam. again put drivers under strain. Some depots and yards are graded in hours and in route trips. D&A testing, then saying as the incident was not serious to continue their turn of duty. A.S.L.E.F.’s future – A.A.D. recall, conference on improvement plans, Single Lead Junctions – referring to Cowden. drivers having to request time off work otherwise they could face M.F.A. monitoring and suspension or sacking. Bro. 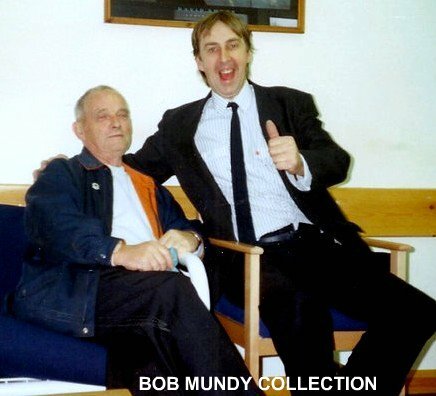 Bill pick up on the issues of both Lew Adams and Len Warboys. 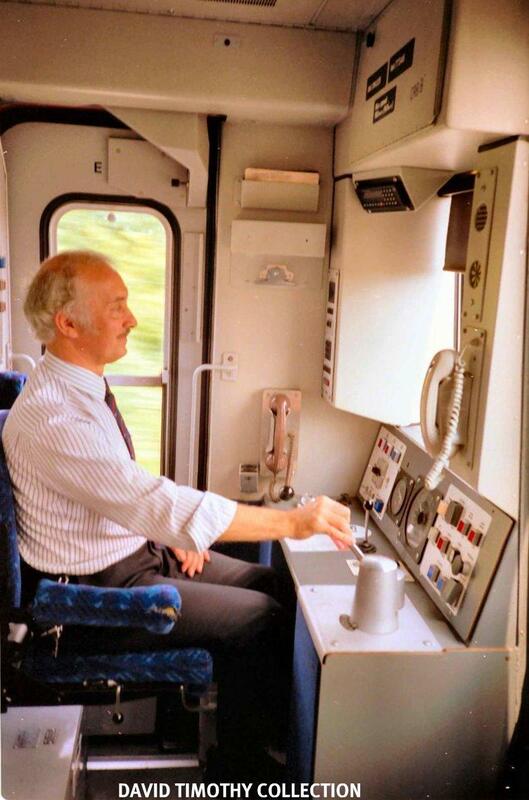 Cowden accident and the various talks on a new method of working trains over the line. New Driver Profiling Medical fitness. T.O.U.’s and S.P.A.D.s, also package deals, police powers and members of staff carrying out alternatives to duties. Bert Long & George Hards. Members present 11 members names recorded in new attendance book. Society National School, proposed P. Edwards & seconded M. Cole. A.A.D. Delegate nominations – proposed that this branch proposed Bro. S. Weller for A.A.D.Delegate. Arrangements over Christmas holiday periods, changes in diagram’s to services in the New Year. No smoking policy, Brighton Messroom redecorating & wearing of H.V. Jackets. 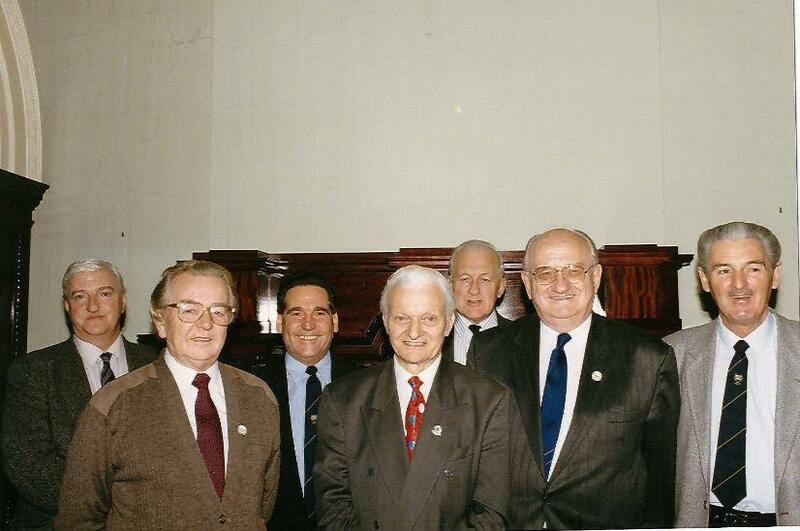 Nominations for branch officers to serve 1995 proposed M. Hunter & seconded S. Lloyd. “That all nominations stand as agreed, plus Bro. S. Weller as additional Committee member.” Vote unam.